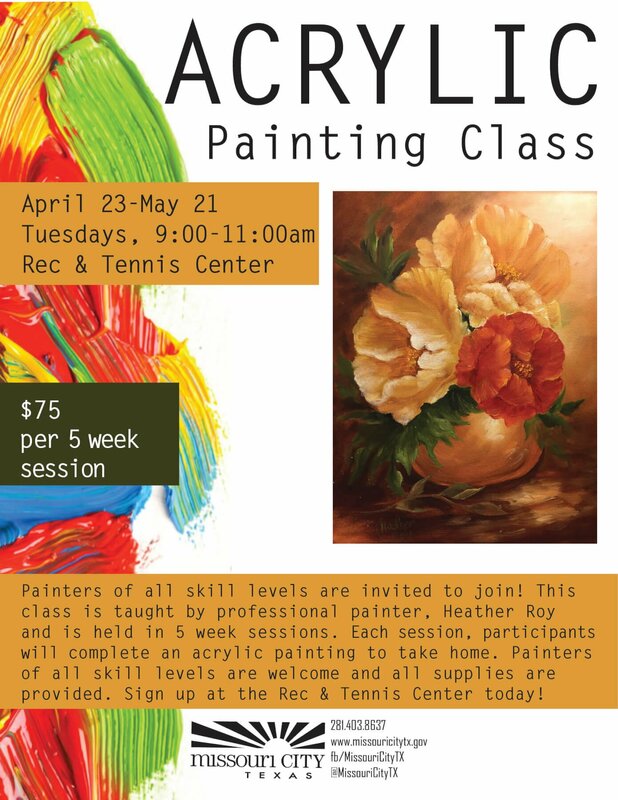 This class is taught by professional painter, Heather Roy and is held in 5 week sessions. This session will take place every Tuesday from April 23-May 21 and students will paint “Tuscan Poppies”. Painters of all skill levels are welcome and all supplies are provided. Sign up at the Rec & Tennis Center today!